Plum Creek Archery is dedicated to helping people practice and expand their archery skills. From beginners to advanced, we have a variety of lessons taught by experts in the field of archery. Check out our classes and sign up today. Archery is a great, life long sport anyone can enjoy. This course is intended for any archer wanting to learn proper form and skills to improve your recreational, bowhunting, or competition shooting. All classes taught by USA Archery certified USA coaches. Bring your own bow, or equipment is available! Discover the sport of archery! 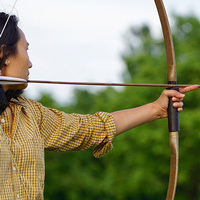 Plum Creek Archery offers private lessons for all skill and experience levels. 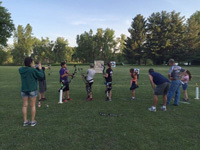 The first timer or beginner lesson program at Plum Creek Archery will introduce shooters to different styles of equipment, the range and shooting safety along with all the steps to archery shooting success. Junior Olympic Archery Development, shortened as JOAD, is a program of USA Archery that is designed to teach the sport of archery to young people ages 8 to 20. JOAD offers both recurve and compound archers the opportunity to learn range and equipment safety along with proper shooting techniques taught to USA Olympic, Paralympic and World Champion archers. So whether your goal is recreational archery or competitive archery, JOAD is the place to start. Any youth age 8-18 are welcome. Bring your own if you have it. Equipment will be provided to those who need it. 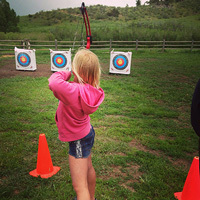 At the Plum Creek Archery summer camp, our goal is to get kids to put down the cell phones and gaming devices and learn about archery. No experience or equipment is necessary. 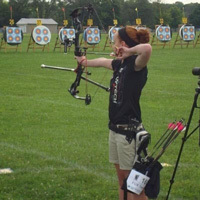 This is a 2-day camp directed by USA Archery certified instructors where kids will not only learn about different types of archery equipment safety and shooting techniques, but also get to experience shooting bullseyes in outdoor target archery, outdoor field archery and 3D archery formats. Come join in on the fun!